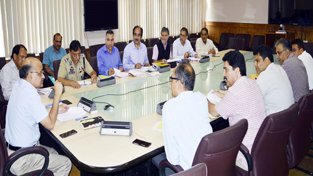 SRINAGAR, Aug 13: Under the aegis of JK Governor’s Grievance Cell, the Advisor to Governor B B Vyas today convened a public outreach programme and directed for speedy redressal of the public grievances. Over 40 delegations and 45 individuals apprised the Advisor of their issues and sought early intervention of the Government in ensuring redressal of the same. 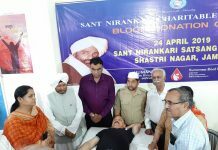 MLA Chowdhary Sukhnandan led Jammu Crusher Association delegation called for taking necessary measures for smooth undertaking of their business activities. 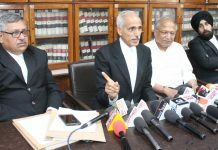 They also raised the issue of closure of various crusher units in Jammu. MLA M Y Tarigami raised several developmental issues of his constituency and called for taking measures for ensuring their redressal at an earliest. Similarly, MLA Abdul Gani Kohli also projected demands of his constituency and sought redressal of the issues concerning his area. 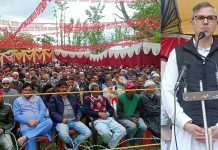 Ex MLC Rafiq Shah also raised the public importance projects of his area with the Advisor and sought his intervention to speed up the process. A deputation of college contractual teachers apprised the Advisor about the issues being faced by them and called for regularization of their services. 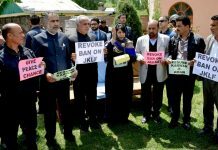 A deputation of Kashmir transporters called for releasing their pending payments with different departments. 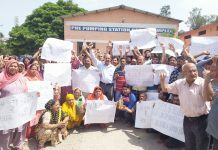 Dal Dwellers delegation called for increasing the rate of compensation being given to them for relocation. 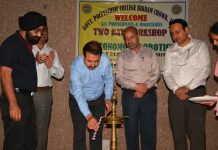 A deputation of Chamber of Industries Industrial Growth Center Lassipora Pulwama projected several issues related to the industrial growth in the district and called for undertaking measures for the revival of sick and NPA units, unscheduled and irregular power cuts, medical facility at IGC, providing soft loans and other industrial incentives to them. A deputation of Jammu and Kashmir Cold Storage Association projected several issues like financing and other related issues. A delegation of Kashmir Artisans Association called for allotment of the remaining chunk of land allotted to them at Budgam in lieu of one at Bemina. Contractual Employee’s Association called for inclusion of their previous rendered services for pensionary and other service benefits. A deputation of SICOP unit holders called for taking measures for ensuring their participation in various Government tenders and also the release of pending payment with different departments especially RDD. Various trader unions of Lal Chowk, Budshah Chowk and catchment areas called for waiver of the tax which has been imposed on them during the September 2014 floods and called for immediate redressal of the same. A deputation of Qamarwari shopkeepers whose shops have been acquired for road widening called for giving them possession of newly constructed shops in ERA complex Ram Bagh. 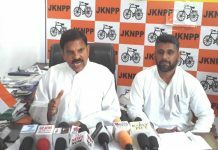 A deputation of transformer repairing units of Jammu and Kashmir called for release of funds to them which are pending since long. 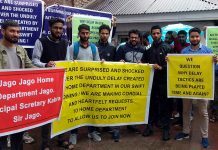 A delegation of Bore migrants (Kupwara) called for undertaking measures for registering them as migrants so that they can also be benefitted of migrant packages. All Jammu Kashmir Electric Diploma Association called for addressing their service related issues including assured career progression and promotions. 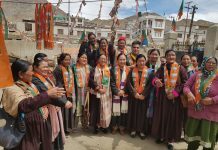 While interacting with the deputations and the individuals, the Advisor said the Government has already passed the requisite directions to the departments to ensure that the people do not suffer for want of public utilities and services and grievances, if any, should be solved within the shortest possible time period.